At a campus spread over 700 acres, commuting has been a hectic activity for the students and staff at NUST, Islamabad. Walking long distances between departments, cafeterias, and libraries, campus residents are usually hitchhiking or walking. With the daily drill, some junior students started brainstorming efficient ways to mobilize the residents and visitors of NUST. Cykiq was born. A road sharing startup cykiq essentially is an automated system for on campus bike renting. Various universities, across Europe and company campuses across America, have successfully deployed shared biking systems for students, and employees respectively. Now, our very local startup, Cykiq is all ready to transform on campus and public transit system of Pakistan. Bikes are not only effective for covering short distances but also provide a viable solution for a shareable mode of transportation. Once the co-founders arrived at the solution. they started working right away and launched a public survey to measure the response of their target market. At NUST, there was already an community transport system in place, however, it worked on fixed routes and was not available 24/7. It did not provide the exclusivity and freedom while commuting. Therefore, when the team pitched a green and affordable solution to campus administration, they garnered support and encouragement to kicks tart CYKIQ.. 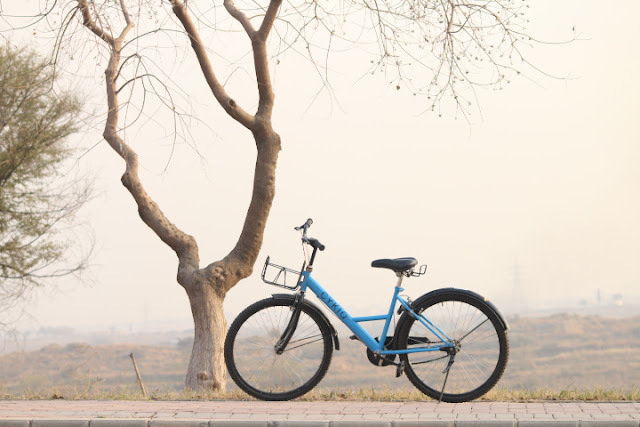 The docking system has specified stations where users have to unlock a bike from a source station to ride which could later be parked at a destination station only. Initially, Cykiq began with a docking system which was designed by its own team and locally manufactured by them. The testing phase of the project kick started with two stations and 10 cycles. One station was located near the hostel, while the second was deployed near one of the departments. With the introduction of this facility, the 15 minute walk distances were reduced to a cycle ride of 3 to 4 minutes. However, Cykiq team tells that being deployed at only two stations, the service seemed to be very limited for a campus that houses 5000 residents and has a daily footfall of 12000 day scholars, staff members, and visitors. Each month, approximately 20 users were sharing the 10 cycles. Therefore, Cykiq decided to add more cycles to the system but they abandoned the idea of building more stations. With the addition of new bikes, Cykiq also introduced a shareable locking system which provided the users with keys to the same set of locks. In four months, they had increased the number of cycles from 10 to 30 and eventually scaled up to 50 bikes in five months. During this time, the system was working manually. Progress slowed down when senior year engulfed the team members in academic commitments. However, as soon as they graduated, they were back on track working full time on the startup.